Vital Records of Dudley, Massachusetts, to the End of the Year 1849, , at https://books.google.com/books?id=Y4iO_eJ1ZL4C . Worcester Massachusetts: Franklin P. Rice, (1908) , p.258. Seth C. Cary, John Cary, the Plymouth pilgrim, Boston, Massachusetts: (1911) , p. 92. "Vermont Vital Records, 1760-1954," database with images, FamilySearch (https://familysearch.org/ark:/61903/1:1:XFJ4-RHW : 6 December 2014), Mary Curtis, 07 Jul 1813, Birth; State Capitol Building, Montpelier; FHL microfilm 27,523. Record added: Sep 12, 2015. "Vermont Vital Records, 1760-1954," database with images, FamilySearch (https://familysearch.org/ark:/61903/1:1:XFJ4-RYN : 6 December 2014), Merritt Curtis, 13 May 1815, Birth; State Capitol Building, Montpelier; FHL microfilm 27,523. "Vermont Vital Records, 1760-1954," database with images, FamilySearch (https://familysearch.org/ark:/61903/1:1:XFXJ-MVJ : 6 December 2014), Merit Curtis, 28 Jan 1892, Death; State Capitol Building, Montpelier; FHL microfilm 540,079. "Vermont Vital Records, 1760-1954," database with images, FamilySearch (https://familysearch.org/ark:/61903/1:1:XFJ4-RBS : 6 December 2014), Miriam Curtis, 16 Aug 1816, Birth; State Capitol Building, Montpelier; FHL microfilm 27,523. "Vermont Vital Records, 1760-1954," database with images, FamilySearch (https://familysearch.org/ark:/61903/1:1:XFJ4-TF9 : 6 December 2014), Oel Curtis, 04 Oct 1806, Birth; State Capitol Building, Montpelier; FHL microfilm 27,523. "Vermont Vital Records, 1760-1954," database with images, FamilySearch (https://familysearch.org/ark:/61903/1:1:XFXN-T9G : 6 December 2014), Del Curtis, 29 May 1876, Death; State Capitol Building, Montpelier; FHL microfilm 540,079. "Vermont Vital Records, 1760-1954," database with images, FamilySearch (https://familysearch.org/ark:/61903/1:1:XFJ4-Y97 : 6 December 2014), Pamelia Curtis, 02 May 1800, Birth; State Capitol Building, Montpelier; FHL microfilm 27,523. 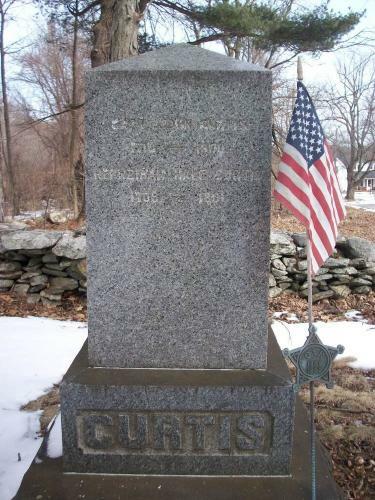 "Vermont Vital Records, 1760-1954," database with images, FamilySearch (https://familysearch.org/ark:/61903/1:1:XFXJ-S6K : 6 December 2014), Salmon Curtis, 27 Jan 1880, Death; State Capitol Building, Montpelier; FHL microfilm 540,079. "Vermont Vital Records, 1760-1954," database with images, FamilySearch (https://familysearch.org/ark:/61903/1:1:XFJ4-14K : 6 December 2014), Solomon Curtis, 25 Feb 1820, Birth; State Capitol Building, Montpelier; FHL microfilm 27,523. Frederic Haines Curtiss, A genealogy of the Curtiss family : being a record of the descendants of widow Elizabeth Curtiss, who settled in Stratford, Conn., 1639-1640, , at https://books.google.com/books?id=H8tFAAAAMAAJ . Boston: Rockwell and Churchill Press, (1903) , p. 56. (?) Cushing was born perhaps about 1840. "Massachusetts Births, 1841-1915", database with images, FamilySearch (https://familysearch.org/ark:/61903/1:1:FXZH-21J : 1 March 2016), Emma Gertrude Cushing, 1865. Your Woodbury/Ober Family Web Site at http://www.woodburyober.com/, d10.html citing NH State Vital Records, Concord, NH.